Erika Marie Ni Bhriain is an international celebrity makeup artist currently living in Edinburgh, Scotland. Erika has a degree in Fashion Design from the Limerick School of Art and Design, Ireland and became inspired to pursue a career in makeup after working backstage at Paris Fashion Week. Since then she has gained 4 years experience working professionally within in the make-up indsutry. She spent 3 years working at MAC Cosmetics where she achieved the highest level of certification. 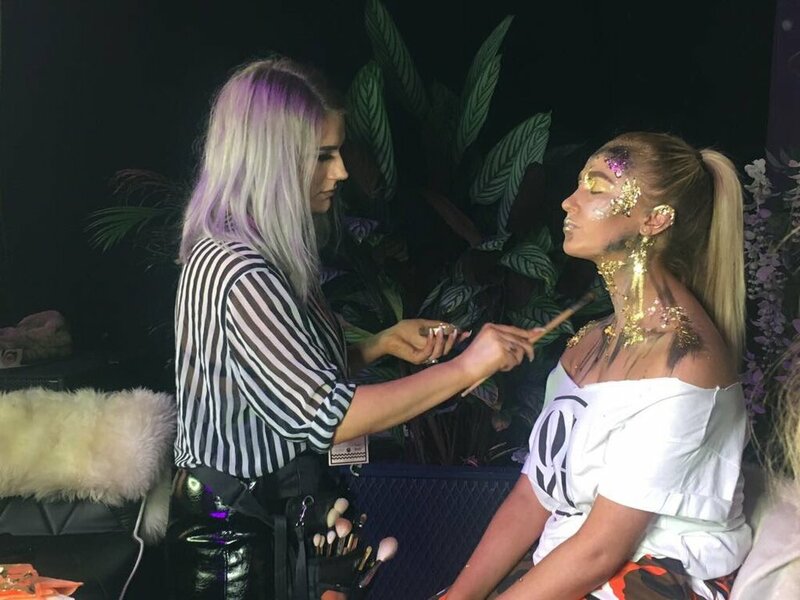 She also facilitated in regional training and worked as a member of the MAC Pro body painting team at events throughout the U.K. Since becoming a freelance artist in 2016 she has created online content for L’oreal, Sleek Makeup, Superdrug, Liz Earle and The Gypsy Shrine. Erika has also worked as a makeup artist backstage at London Fashion Week. She has received online recognition through her unique and creative style of makeup, with her Instagram page reaching over 100,000 followers. Her work has been printed in publications such as Hairdressers Journal, Estetica and Fellowship Magazine. She has been featured in online publications including Vanity Fair Italia, Elle UK, Glamour Magazine and Metro World News. Erika has held masterclasses throughout the UK & Ireland with sponsorship from some of the industries best makeup brands. She is currently based in ISHI salon, Edinburgh where she is available for a wide range of services such as bridal makeup, one-to-one lessons, applications and group classes.